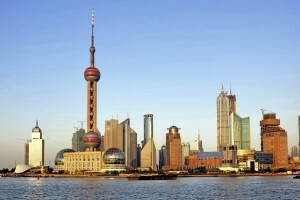 Would you like the opportunity to work as an intern in Beijing or Shanghai? At Oyster we are passionate about the benefits of working abroad. Our clients come back from their travels more confident, skilled and interesting than they used to be. It definitely shows. In today’s competitive job market, many of you are keen to combine the experience of working abroad with relevant work experience in your chosen profession. This makes a lot of sense. Particularly if you choose to work in China – one of the world’s fastest growing economies. Oyster has just launched an exciting new internship programme, which aims to provide exactly this. You will get a good quality placement with a Beijing or Shanghai-based business in the sector of your choice (finance, advertising, legal, scientific research and more). It’s much less daunting than it sounds because you will get excellent support from staff on the ground in China. Your colleagues will speak English, you will live with other international interns and you can rely on excellent support at every stage. Beijing and Shanghai need little introduction, they are very exciting cities where you can enjoy yourself out of work as well as in it. Work placements can last from 4 weeks to 6 months, with Mandarin lessons running concurrently. Then, feeling more confident in the Chinese environment, you’ll be able to join your work team and get stuck in. Your supervisor will make sure you get good quality tasks that will use and develop your skills. At the end of your internship you will come away with a certificate to show what you have achieved there. But, just as important, you will come away with many useful insights into the way Chinese people live, socialise and do business. If you are an independent, motivated person with a keen interest in China, visit our website to find out more. Alternatively, get in touch with Roger at [email protected].